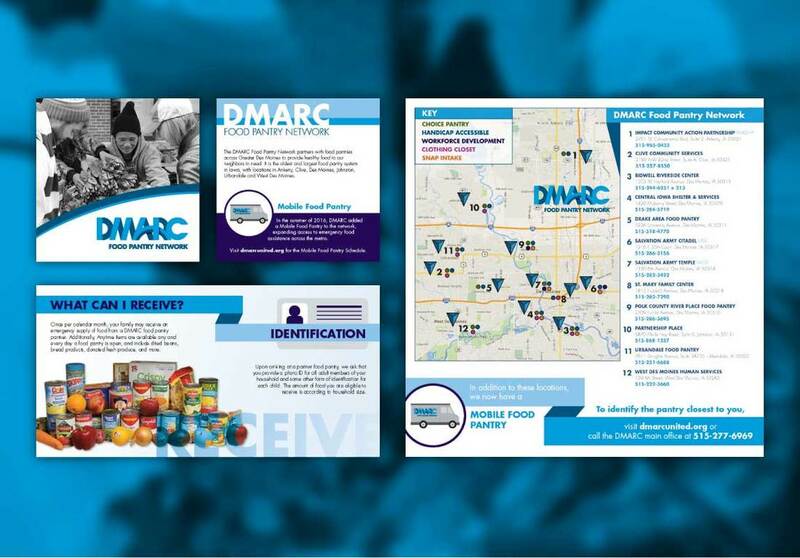 DMARC is a non profit organization that organizes food pantries around the Des Moines area. For this campaign, they wanted me to design a handout for their clients. They wanted it to fit in a pocket as well as provide direction for their client on pantry locations, what clients receive at pantries and information about their Mobile Food Pantry. My solution to this was to create a 8"x 8" folded handout using the ribbon branding from their logo throughout. 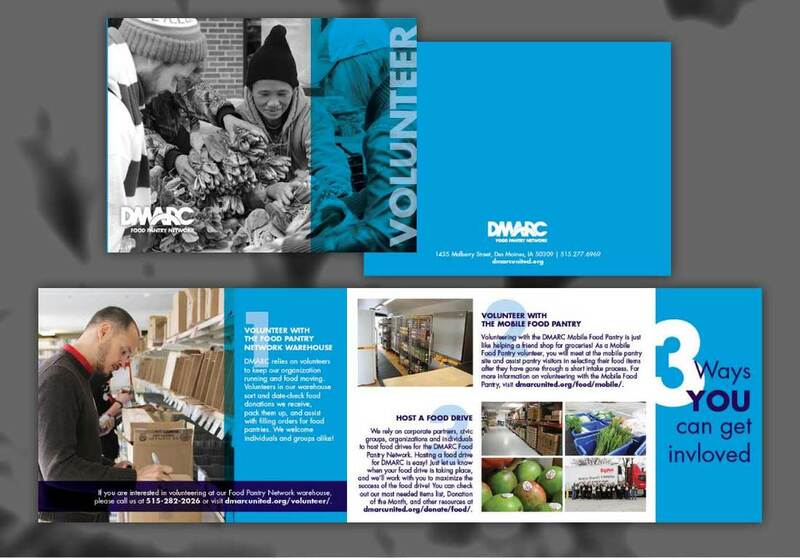 The second piece of this campaign was a brochure for those interested in volunteering with DMARC. Their expectations for the brochure were to clearly list the three different opportunities they have for volunteers and the organization's contact information. ​In order to achieve this, I created a larger foldout horizontal brochure. This layout allowed for larger images depicting the three opportunities. I focused on using their main brand colors and a round font to mimic their logo.